Jim’s background is in engineering until at age fifty, he had a career change and started working in the care industry, supporting children and adults some with sensory loss. After retiring in 2011 Jim became involved with Forest Sensory Services as a volunteer driver and since then this has expanded to include helping with “Sighted Guide Awareness Training” and fundraising. Jim was elected to the Board of Trustees at the end of 2012. Being involved with FSS gives Jim the opportunity to improve the lives of those less fortunate than himself. Mike has worked in retail as a distribution manager for Asda. Until ill health forced him into early retirement. Mike has been volunteering with FSS since July 2014 and has brought with him numerous skills including marketing. He supports the fundraising, independent living shop, charity shop and also takes care of our social media. Sue has been involved in all branches of physiotherapy, including treating people with disabilities in their homes. 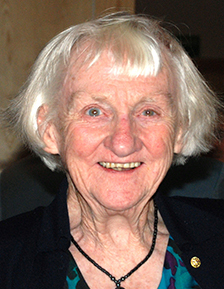 She became interested in the work of Forge (FSS predecessor) when as a Councillor, she represented the District Council on the Forge Management Committee. She was asked to join the Trustees in 2007 and has been a Trustee of Forge and FSS since then. 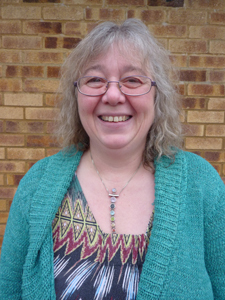 Sue is Chair of Governors at Heart of the Forest Special School, and is on the Board of the Orchard Trust. Anita joined Forge in 2008 as Accounts Officer bringing with her a wide range of experience as a chartered accountant. Through her profession she has worked with a number of different charities and has now joined the Board of trustees as Treasurer. Jackie joined Forge in 2008 bringing with her a wealth of experience gained by running her own business and working for a disability charity. Since joining us she has completed training in Low Vision Assessments, Eccentric Viewing, delivering My Guide Training and has qualified as an ECLO (eye care liaison officer). Lifelong experience of working in the Public Sector, holding a management role within the NHS. 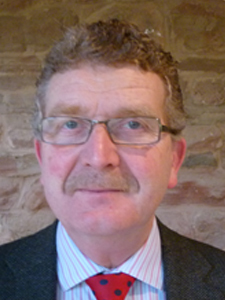 David has supported Forge over many years and recently joined the Board of Forest Sensory Services. As a local optometrist he brings an invaluable wealth of knowledge and experience of the workings of health care in the Forest. All volunteers are DBS checked and because of the specialist training they have received are equipped to help anyone with sensory loss. We are officially “The Best Small Local Society in the UK” awarded at the Visionary Conference.